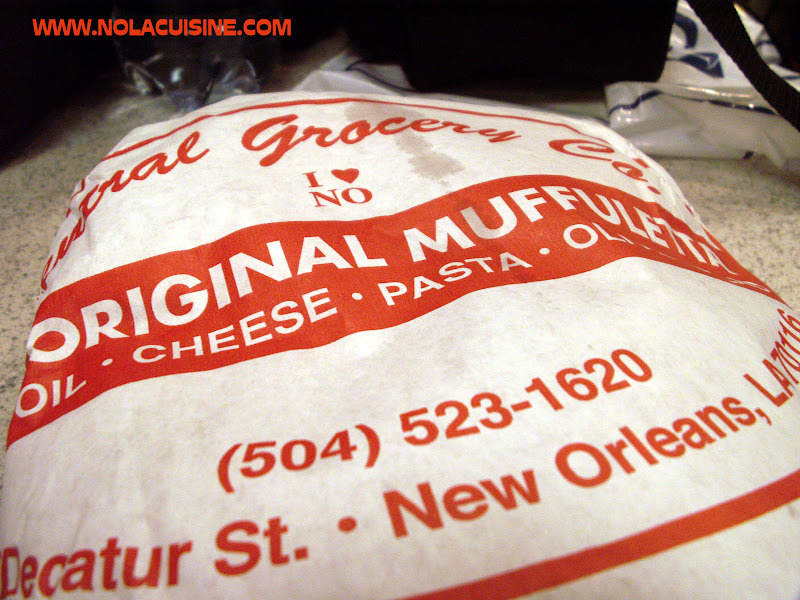 No trip to New Orleans is complete for me without a trip to Central Grocery for a Muffuletta. 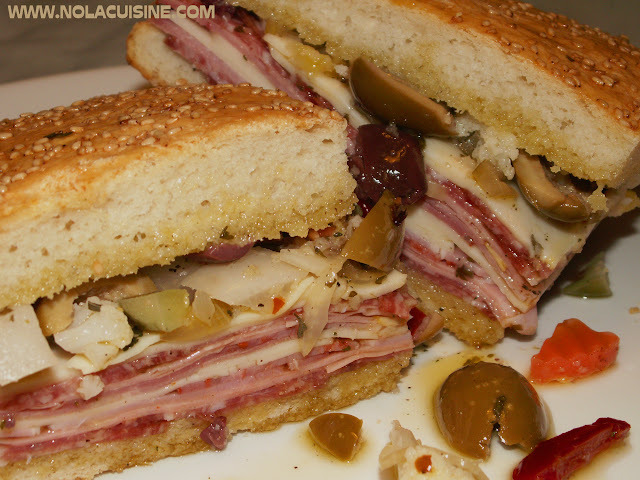 Detractors can fill the comments section with why they dislike the Central Grocery Muffuletta and why their favorite is so much better, have at it, but for my money Central Grocery does everything right with the sandwich that is said to have been created here by Salvatore Lupo. 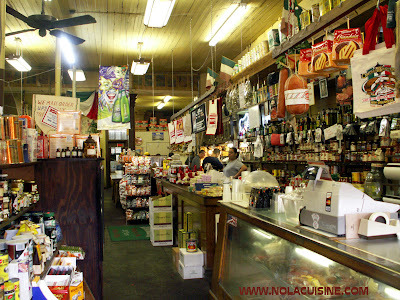 Central Grocery is an old style Italian market, with Italian imports, pasta, olive oil, meats, cheeses as well as local New Orleans Creole items. 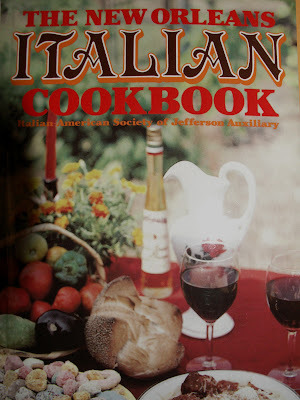 The Central Grocery Muffuletta has everything that a great Muffuletta should, a great mix of Genoa Salami, Mortadella, Ham, Mozzarella, Provolone (my Muffuletta Sandwich Recipe), a wonderful chunky Olive Salad made with Sicilian Olives just crushed, not chopped, Gardiniera, oregano, lots of oil (my Muffuletta Olive Salad Recipe) , and the quintessential bread, the round muffuletta loaf, about 10-11″ across topped with sesame seeds, light in the center with a nice crust (my Muffuletta Bread Recipe). I love this sandwich so much that on one trip, I had all of my other meals locked in except for breakfast, and alas, purchased and almost killed an entire Central Grocery Muffuletta while sitting on the banks of the Mississippi while watching the barges roll by, and listening to a street musician trumpet the most somber rendition of Do You Know What It Means To Miss New Orleans that I have ever heard (and I mean that as the highest compliment). All this before 10 o’clock a.m. while my wife slept-in back at the hotel. 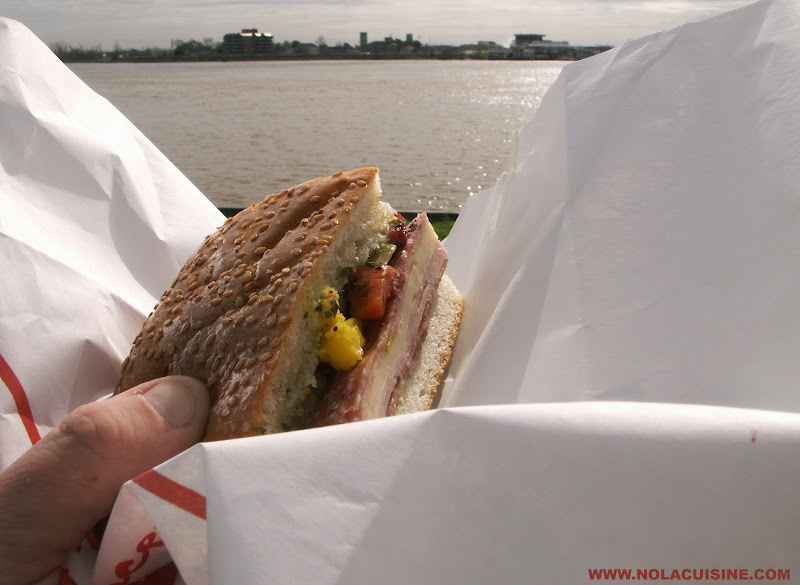 By the way, in my humble opinion, sitting on the riverwalk is definately the best way to enjoy the Central Grocery Muffuletta, maybe not for breakfast, but definately for lunch. Grab a cold Louisiana beer or Barq’s Root Beer from the liquor store a few doors down, find a nice spot on the river and enjoy a piece of New Orleans that you won’t soon forget. Don’t forget to tip the musician who will surely cement the experience in your memory. 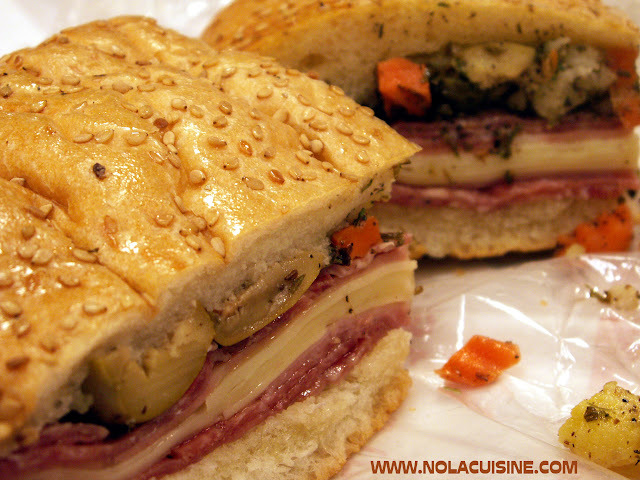 If you don’t get to enjoy a Muffuletta during your visit to New Orleans, at least grab one to go for the plane or car ride home! There is nothing more soul satisfying than unwrapping an enormous Muffuletta on a plane or in an airport food court and releasing the vapor of garlic and cured pork, where the captive diners will undoubtedly administer the stink eye, or question you as to where you found that sandwich, as if you found such perfection at the airport. When asked from airports in Dallas/Ft. Worth, Atlanta, Chicago, St. Louis, wherever… ‘Where did you get that sandwich?’ it is always fun to give a half cocked smile and casually say ‘New Orleans’, then take a HUGE bite out of that sucker as if it was your last morsel on earth, then shake your head in amazement as to how wonderful it tastes. Trust me, you won’t have to act. 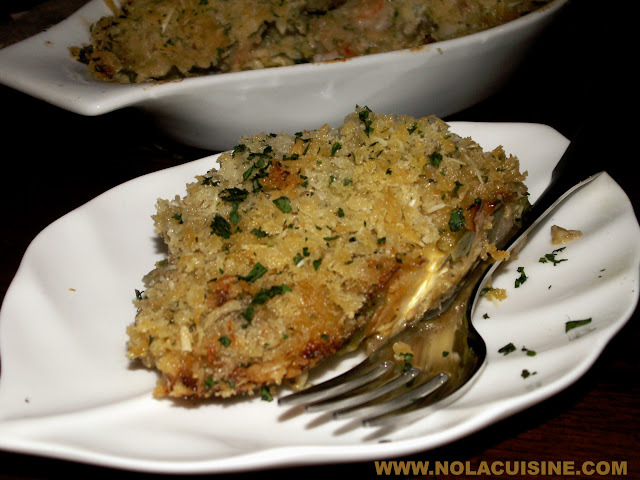 Be sure and check out my ever growing Index of Creole and Cajun Recipes, which links to all of the recipe featured on this site! !